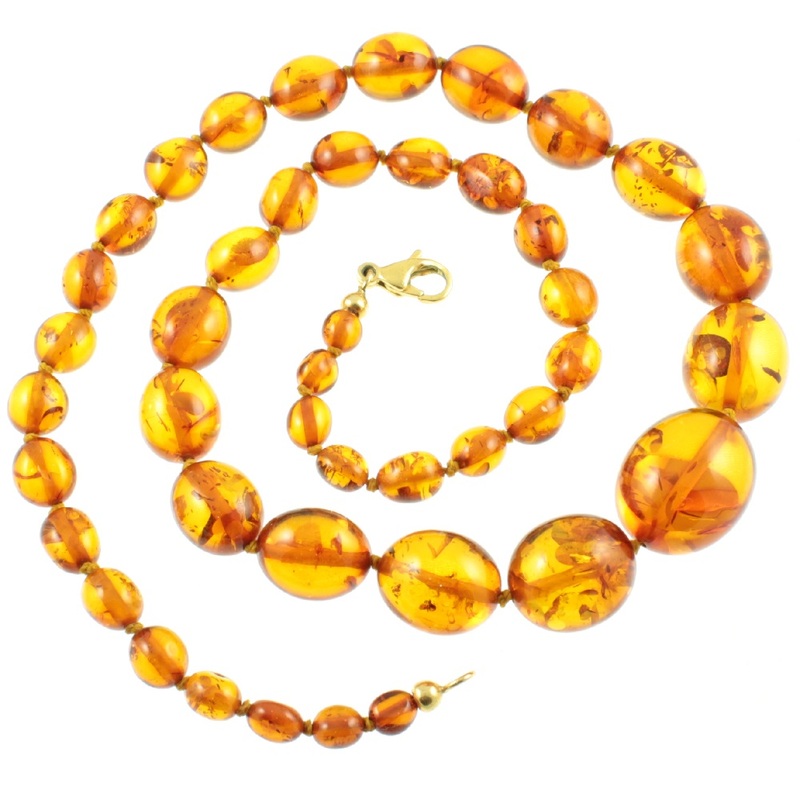 A gorgeous cognac coloured Baltic amber necklace. 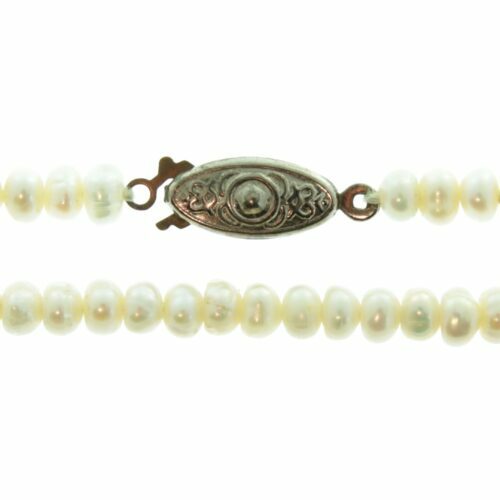 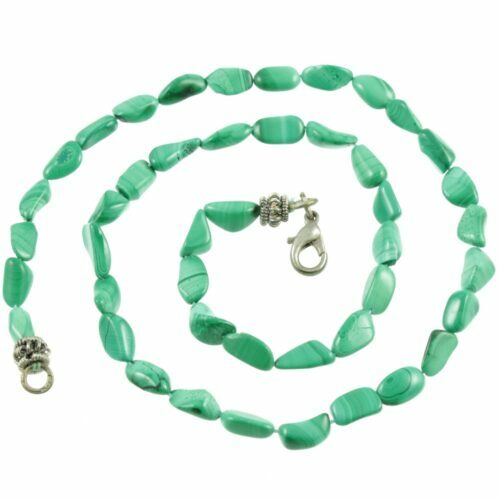 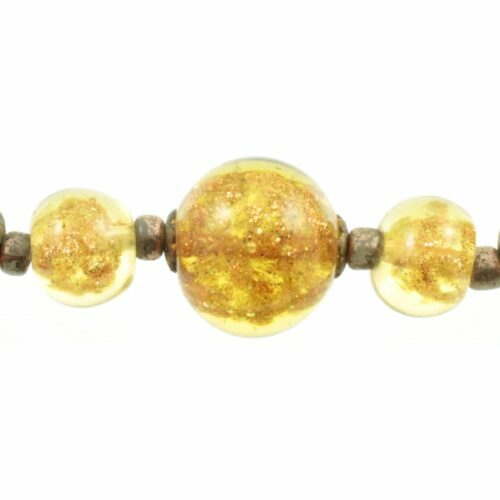 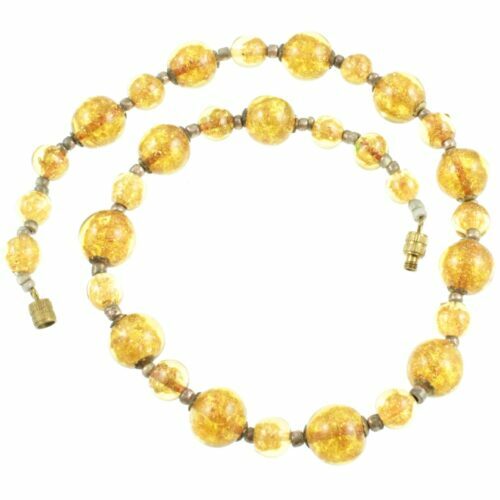 Graduated oval shaped amber beads have been individually hand knotted and securely set to a lobster claw clasp. 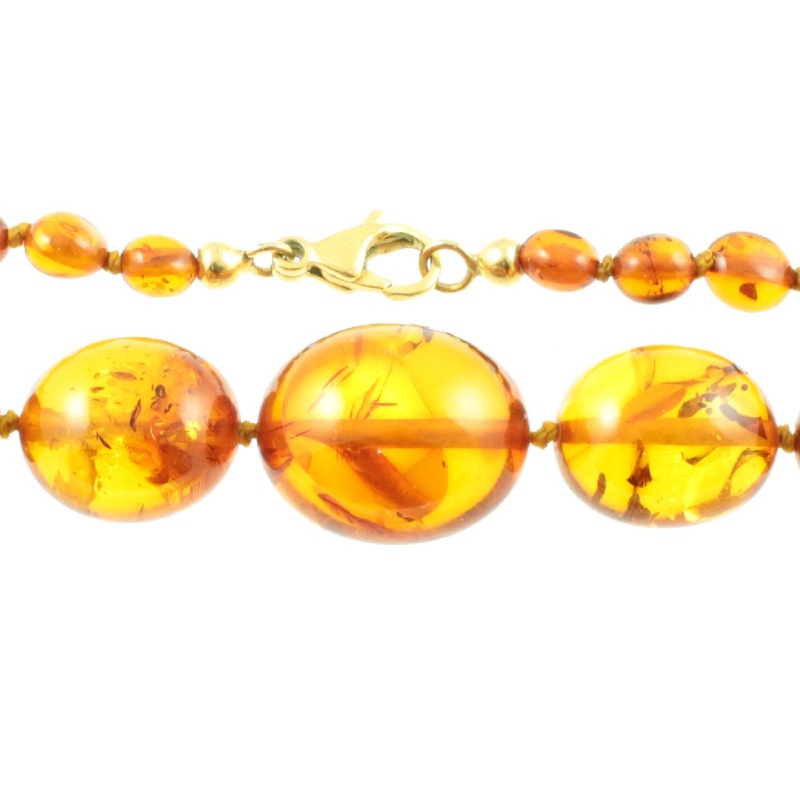 This Baltic amber contains fragments of foliage which glitter and produce a lovely depth of colour to the beads. 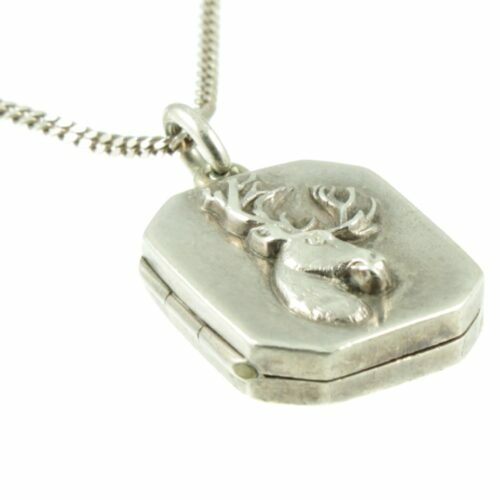 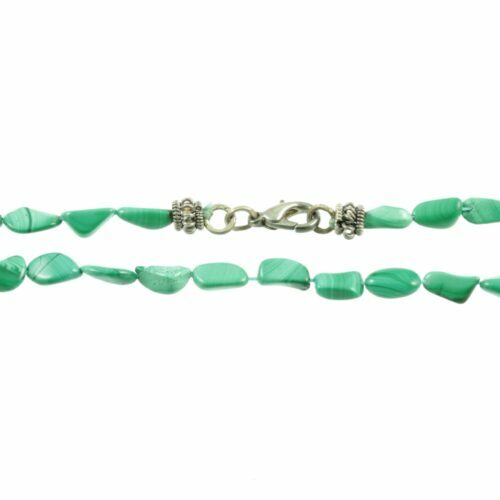 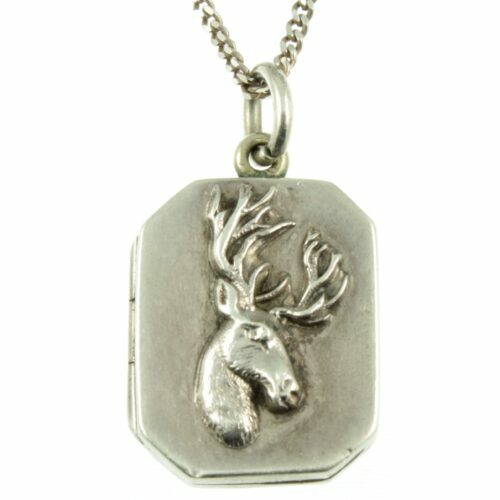 This beautiful necklace is a jewellery box essential. 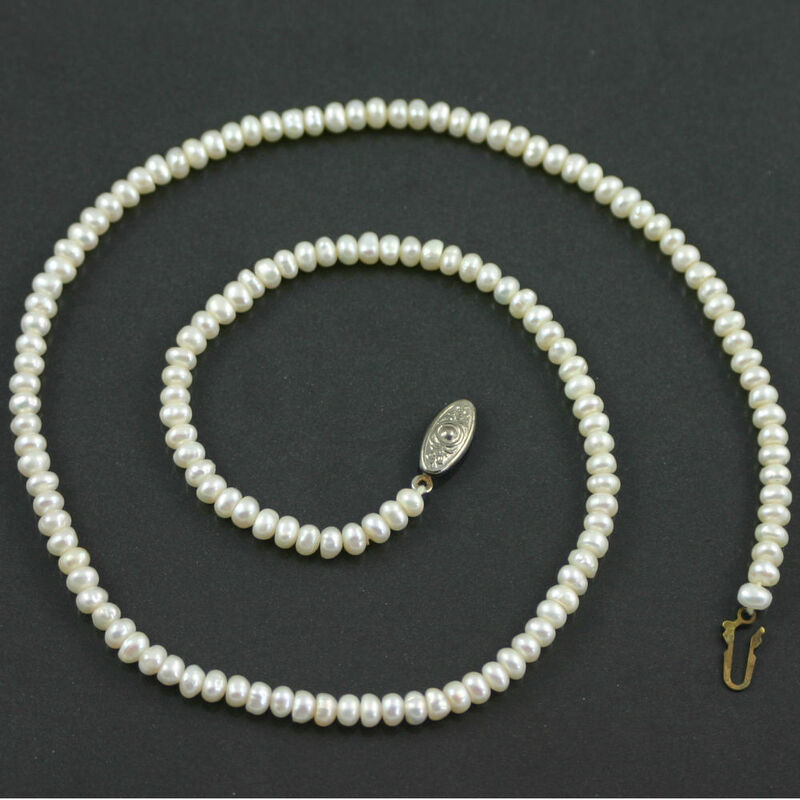 Size: 51cm X 16mm – 5mm, weight: 23.9g.